The presentation will review ethical blind spots, ethical leadership, and will provide a case study for participants to discuss. During her nonprofit career, she has served both as CEO and led the development for various national and international organizations. Janice is the author of Cultivating Diversity in Fundraising and she is the editor of Nonprofit Fundraising Strategy: A Guide to Ethical Decision Making and Regulation for Nonprofit Organizations, both published by Wiley. 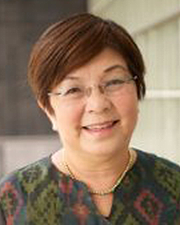 She is an adjunct professor in the School of Education at the University of San Francisco. She also teaches for the Fund Raising School at the Lily Family School of Philanthropy at Indiana University, Indianapolis. All registrations must be prepaid prior to the meeting event. Any registrations at the door will incur a $10 processing fee.